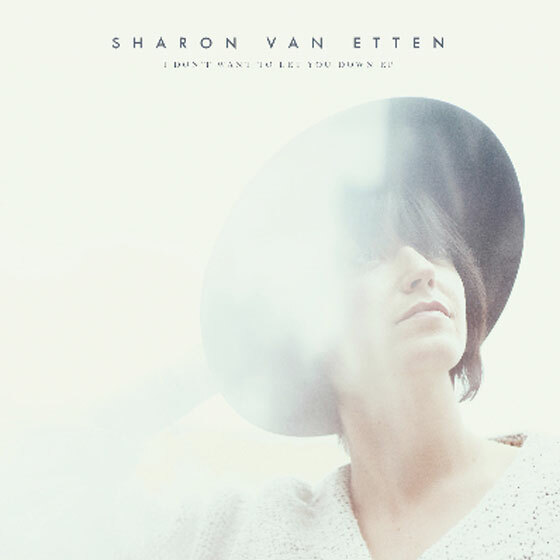 Sharon Van Etten's back catalogue has been pretty spot-on so far, and she's apparently set to keep things rolling as such with a new EP release dubbed I Don't Want to Let You Down. The Brooklyn singer-songwriter breaks out her latest set of songs on June 9 via Jagjaguwar. Described in a press release as "much more than some between-albums, on-tour stopgap," the EP offers up four "sophisticated" new songs that are said to document "surrender and disappointment, admission and longing." This includes the title cut, which Van Etten premiered on Ellen back in January. The collection also features a live take of "Tell Me," a tune originally delivered as a bonus cut on the expanded edition of Van Etten's 2012 effort, Tramp. Though the earlier recording was an intimate acoustic demo, the concert performance captured last year in Barcelona is performed with Van Etten's four-piece touring band. I Don't Want to Let You Down was produced by Van Etten and Stewart Lerman, who had also produced last year's Are We There. The new EP features contributions from the War on Drugs' Adam Granduciel and Dave Hartley, as well as Heather Woods Broderick (keyboards, strings, vocals), Doug Keith (guitar), Zeke Hutchins (drums), Brad Cook (bass), Darren Jesse (drums), Peter Broderick (strings), and Stuart Bogie (woodwinds). Down below, you'll find a stream of title cut, as well as the full tracklisting info.